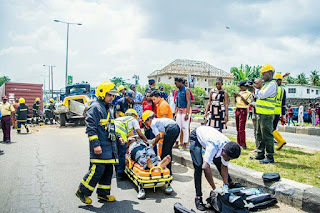 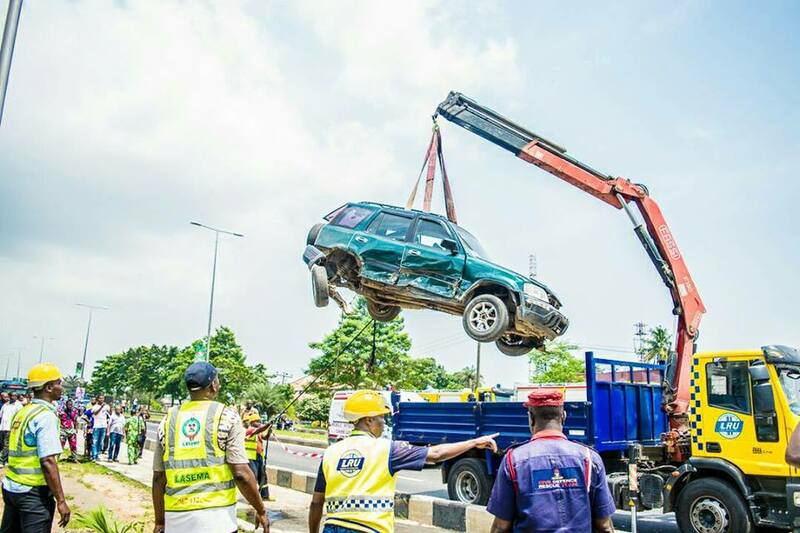 A family of five consisting of a father, mother and three teenage girls were rescued alive in an accident that occurred at the Palm groove-Onipanu bus stop along the busy Ikorodu road in Lagos yesterday November 3rd. 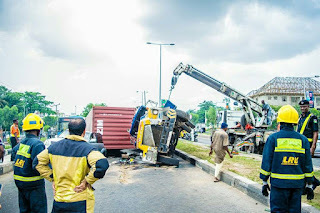 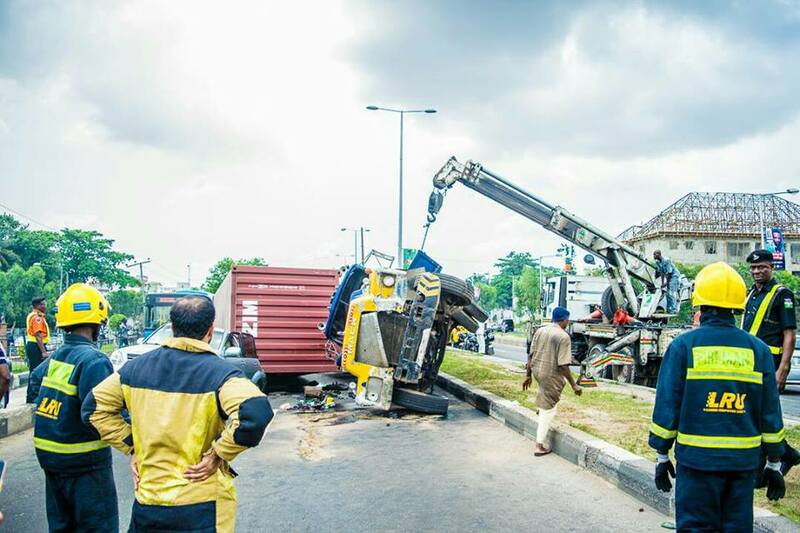 A truck carrying a 20ft Container moving toward Onipanu suddenly fell on two vehicles -a Lexus GX470 SUV with registration number AGL 414 CU (Lagos), conveying a family of five, and a Skoda car with registration BDG 482AT (Lagos). A motorcycle(Okada) was also affected by the accident as it was also damaged. Fortunately, all the occupants of the vehicles affected were immediately rescued alive from the wreckage at the scene.